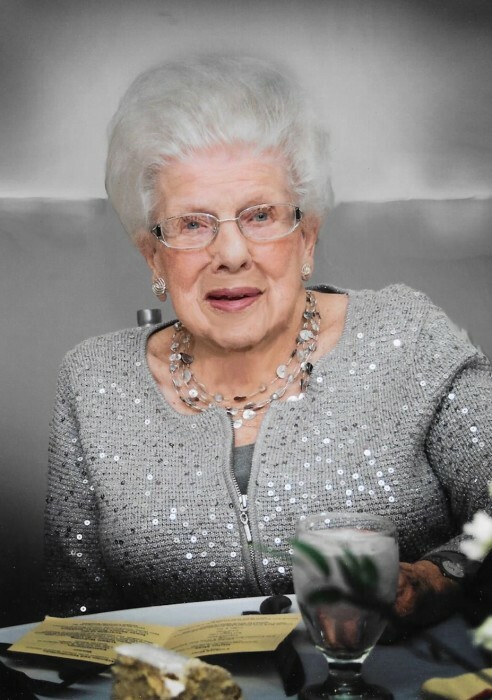 CHARLESTON - Emma Jane Peters Dawson 103 of Charleston passed away Wednesday, September 12, 2018. Born in Janesville, Illinois on April 22, 1915, she was the daughter of Joseph Merl and Henrietta Lois Endsley Peters. Jane grew up in Nokomis, Illinois the oldest of three sisters. She worked in mining, and politics, before marrying Dr. I. Milton Dawson in December of 1945. He passed away in March 1997. She was the office manager of his dental practice for fifty years. Jane was instrumental in many organizations in Charleston beginning in 1960 when she and Milton moved to Charleston from Chicago. Jane was a charter member of the Newcomers Club, Potpourri Dept of the Women’s Club, Charleston Community Theater, and the Zonta Club and was an honorary member of the Charleston Rotary Club. She also was chairwoman of the annual Christmas parade in downtown Charleston. She served the community as the chairman of the Liquor commission and worked with the Coles County Republican Women. Her involvement at Eastern Illinois University included the EIU Foundation board, as well as social events for the Tarble Arts Center. She was honored with the Order of Omega. Jane also was a thirty plus years advisor for Alpha Gamma Delta Fraternity. Eastern’s Alpha Gamma Delta chapter endowed a scholarship in her name. She also enjoyed being a member of the Lunch Bunch. Jane leaves behind children, Mary Dawson Droste (husband Richard) of Charleston, Dr. Jane Dawson Dennison of Chicago, IL and James M. Dawson (wife Kim) of Carrboro, N C. A son, John Milton Dawson and son-in law Dr. Robert Dennison are deceased. She enjoyed six grandchildren: Emilie Droste (Todd) Erickson, John (Lesley) Droste, Dr. Taylor (Katy) Dennison, Dr. Mary Jane Dennison (Peter) Romnek, Ketra Dawson, and Gavin Dawson. She also was proud of seven great grandchildren, John, Caroline and Samuel Erickson, Dawson and Curtis Droste, Kennedy and Murphy Dennison and Robert and Sidney Romnek. The funeral service honoring her life will be held at 1:00 p.m. Monday, September 17, 2017 at Wesley United Methodist Church, 2206 Fourth Street, Charleston, with Reverend Tom Corum officiating. Burial will follow in Roselawn Cemetery, Charleston. Visitation will begin at 11:00 a.m. Monday at the church. Arrangements: Harper-Swickard. Memorials in her honor may be made to the Jane P. Dawson Scholarship, c/o Alpha Gamma Delta Fraternity Foundation, 8710 N. Meridian Street, Indianapolis, IN 46260.